Learn how to easily customize your Twenty Fifteen powered website by visually editing each element. You'll just need to install and activate the CSSHero WordPress plugin. The Twenty Fifteen theme is still young in age, and yet, it has managed to receive downloads of nearly 250k. It’s simple, it’s sleek, and it’s easy to configure — thus adding to its popularity. This theme, though seemingly simple in design boasts some tantalizing features that make it a great theme for your blog. The Twenty Fifteen theme is perfect for bloggers and photographers looking to share their stories and tall tales online. And it lays claim to a few great features that could make it perfect for your own site. In a day and age where life both online and off is bombarded with all kinds of clutter, it’s always nice to find something that sticks to the simple side of things. 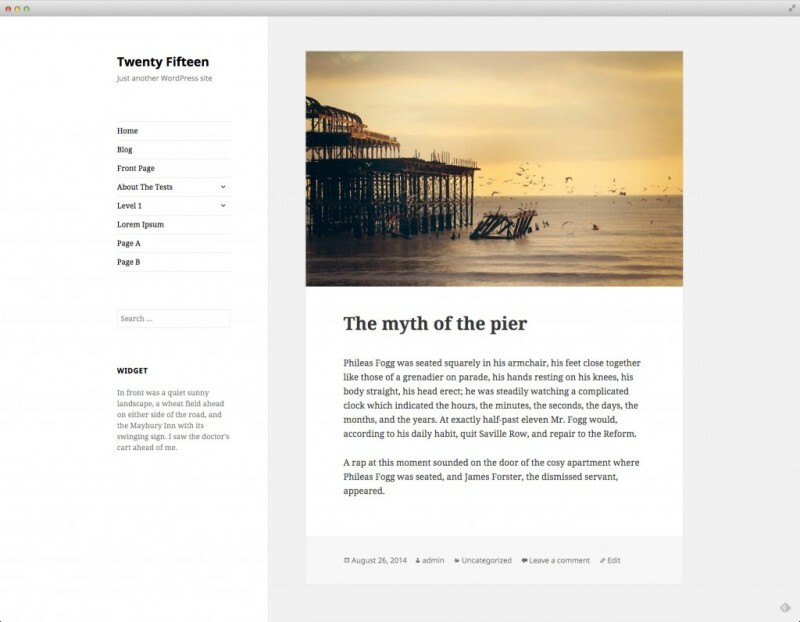 The Twenty Fifteen WordPress theme claims a lot of whitespace to make sure that the overall theme holds to its clean look. If you didn’t think a responsive website was important before, then you likely know now. 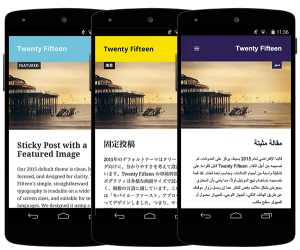 Google has made it so that only mobile friendly sites will appear in mobile searches, and it’s becoming readily evident that they want all sites to start using responsive and mobile ready themes. Thankfully, Twenty Fifteen is both so there is no need to worry in that regard. 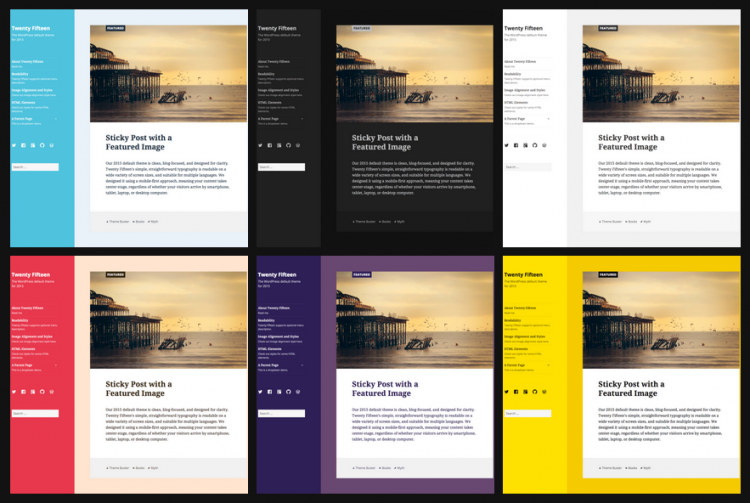 Though some may not put a lot of stock in what a theme’s gallery output will look like, many are looking for a theme that can handle creating beautiful galleries. 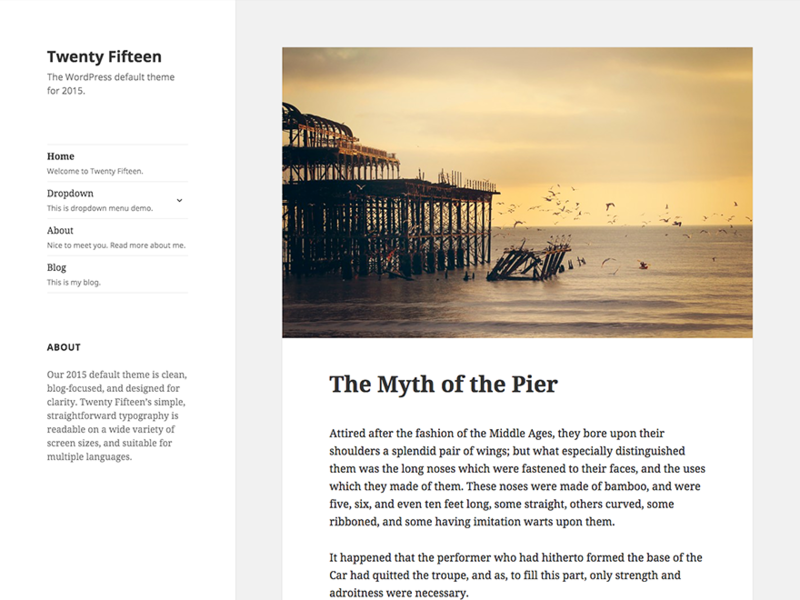 Twenty Fifteen can easily create a masonry style gallery layout, and lightbox functionality is built right into the theme so viewing the images in a larger size is a non-issue. The static sidebar is placed to the left of your website and doesn’t make much room for clutter (which can be an excellent thing if we had anything to say about it.) That means that the lack of overall clutter on puts all the content of the theme and you site at the forefront. Speaking of the sidebar, the placement of it and the header lend to the overall tidy feeling that the theme promotes. It does make room for a few widgets and is static which means that you won’t be staring and endless yards of black space while reading a longer post or page; it scrolls with the rest of the site. Since the theme is built by the team behind WordPress.org, you can rest easy knowing that the theme is built with top-notch code. This may not seem like the biggest deal, but trust us — this is definitely a big deal. Overall, the 2015 theme is clean, elegant, easy to use, and easy on the eyes. However, many who wish to choose this theme want to be able to make it a look a bit more… like them. As we’ve already covered, the theme is clean layout and design also comes with a few customization options, but they’re very limited. But why limit yourself when you can make the Twenty Fifteen theme come to life and just as unique as you are. If you’re looking to take your Twenty Fifteen theme up a notch but you have no idea how to do that, then you’re in luck because we just made that a whole lot easier. While you could spend hours looking up CSS on Google and trying to learn all the code needed in order to change something as seemingly simple as font size, you don’t have to. You could… but why do that when a quick click or two of your mouse will do the same in a fraction of that time. There quite a bit more you can do with CSS Hero to make your site. Want to see it in action? Just click the button below and give the plugin a test drive. Have any questions? Feel free to reach out.